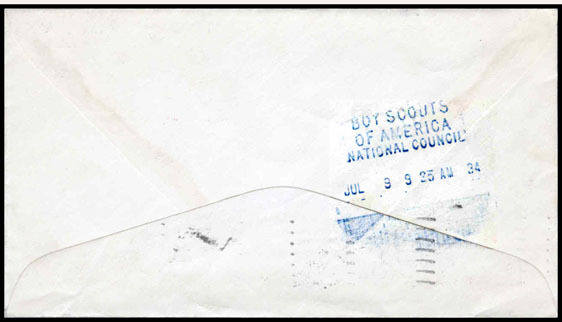 Copyright © 2010, 2012 by Scouts on Stamps Society International, Inc. All rights reserved. 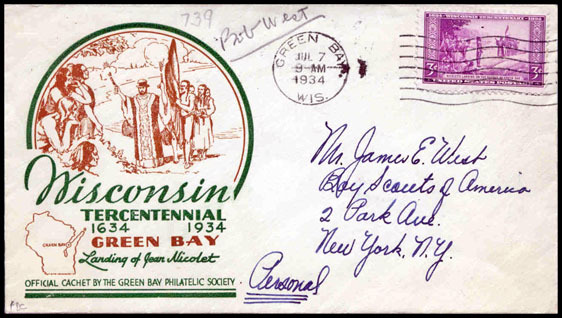 The addressees on these covers are Scouting personalities. 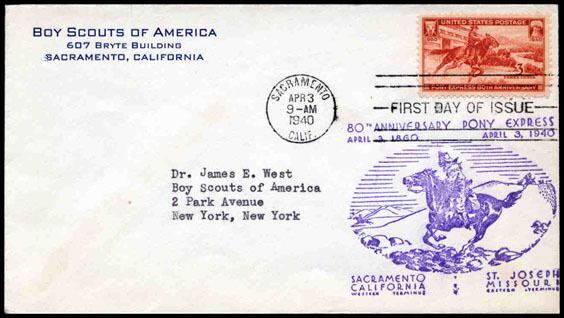 The name in pencil, "Bob West", was James West's son. Bob West was 16 or 17 at the time and a Boy Scout.